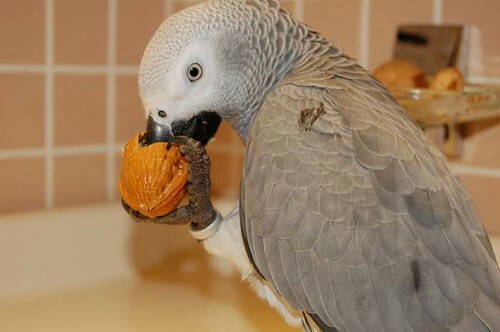 Parrots love nuts. Many of our parrot species require them in their diets, such as the macaw. They are part of their diet in the wild and contain many of the fats and oils necessary to maintain energy. Since this is such a popular parrot food, it is important to be sure that you can recognize their quality and freshness. Nuts do become rancid and their shells can contain mold spores that can give your bird aspergillosis (typically a fungal infection of the lungs, but can also effect the eyes, ears and sinuses.) Some nut shells are more prone to collect these mold spores than others, such as peanuts, technically a legume, and almonds. Consider the shell as the packaging for the nut that is inside. 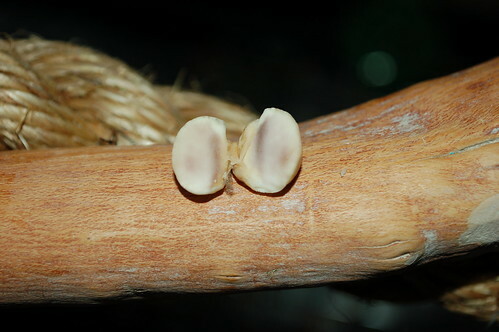 If the shell is cracked or punctured, the nut inside has been exposed to air and harbors any bacterias that have leaked inside. Throw it away. It is no more good to eat than our food is when packaging fails. If the shell has anything that looks fungus-y or moldy on it, throw it away. In fact, throw the whole batch away. Since they’ve been stored together, what was on one shell is now on all of them. Remember that these are going in their mouths. 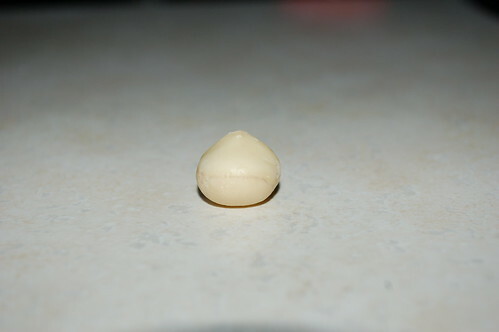 Occasionally, the outside of a nut will appear fine, but the inside is rancid. Before serving any from a new batch, open several of them up randomly. When you find a bad nut, you’ll know it. Random testing is not an efficient method of weeding out bad nuts, so keep an eye what your parrot is pulling out of the shells. A nut should not be brittle and dry. A good nut is moist and springy- if you squeeze it between your fingers, it will break apart and leave a trace of oil on your fingertips. The meat inside of a nut should be consistent in color. There should be no spots or dark areas – if there is it is rotten. While I have heard that a rancid nut emits a foul odor, I have never associated a smell with a bad nut. Maybe my nut just wasn’t rancid enough. Don’t use your nose as your guide. If you’ve had your nuts in storage for a while, a simple taste test will tell you if they are stale. A stale nut doesn’t taste horrible, just stale, so don’t be afraid to try it. Never feed you parrots anything that you wouldn’t find fit to eat. A parrot might show a disinterest in nuts which he knows are bad. If he won’t eat them, there’s probably something wrong with them. Nuts are susceptible to light, heat and moisture. Store them in a cool, dark and dry place. Remember that nuts pick up and hold the odors, so be careful to store them in airtight plastic or glass containers. Never store nuts in metal, they react badly to it. In the shell nuts last twice as long as a shelled nut. Peanuts, pecans and walnuts spoil the fastest. To freeze your nuts put them in a zip lock bag and put them in the freezer. Simple as that! It only takes about 10 minutes to thaw a nut, so only take out what you intend to use. Don’t thaw and refreeze nuts. Note: We don’t recommend feeding your birds acorns or peanuts.